Kepco's fault tolerant power supplies are ideally suited to supplying power to architectureal and lighting features. The ability to install the Kepco power supplies in convenient locations away from the primary location allows cost savings during installation as well as ease of maintenance. Remote programming of the Kepco power supplies means ease of operation. And fault tolerant systems ensure the architectural and lighting features can stay on 24/7, even during maintenance/repair. The picture at right demonstrates two applications. First, the lights under the canopy are twinkling LEDs that are powered by Kepco's fault tolerant power supplies located inside the building. This makes the installation of the LED's simpler when the canopy is built, and the power supplies can be maintained without people working on ladders and closing the sidewalk. The power supplies are more reliable since they are not out in the weather, and they are remotely programmable in order to vary the light level and the twinkling based on time of day and ambient light levels. Second, the LED-lighted drapes behind the tall windows above the canopy create the illusion of a large and tall lobby. This is made possible by remotely located Kepco fault tolerant power supplies. Because the power supplies are remote, the major source of heat in the LED lighting scheme is moved away from the LED's themselves allowing the LED's to be placed in close proximity to the curtains. The result is a great look and more rentable space: offices are behind the curtains, not open space. 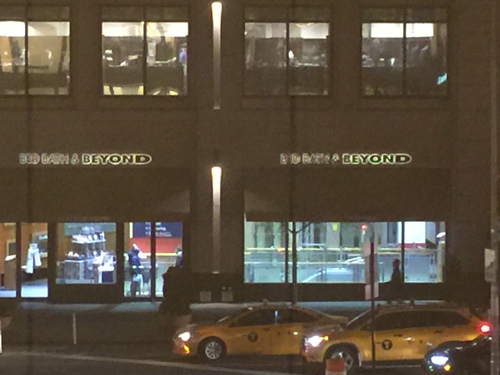 In the picture at right, the Bed Bath & Beyond sign is powered by remotely located, fault tolerant Kepco power supplies. The remote location of the power supplies made the installation much simpler since the concrete facade of the building didn't need to be disturbed to install the signs and power sysytem. 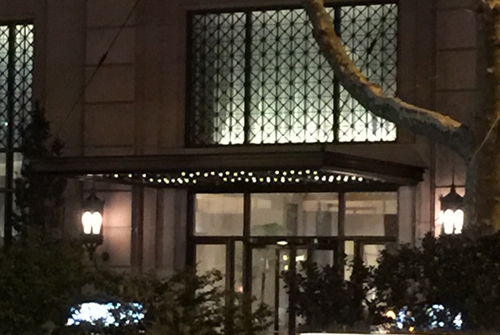 The gold plated copper bus bars that carry the 5 Volt DC to the LED's were installed without the cost of disturbing the solid stone exterior of the building. Since the power supplies are located remotely, maintenance can be done by one person walking into a service closet, whereas servicing traditional bulbs and power supplies would have required a NYC permit to close Broadway late on a weekend night, hiring a crane and paying triple overtime to the crew. Because the power supplies are fault tolerant, they can be serviced without the lights on the sign ever going out. 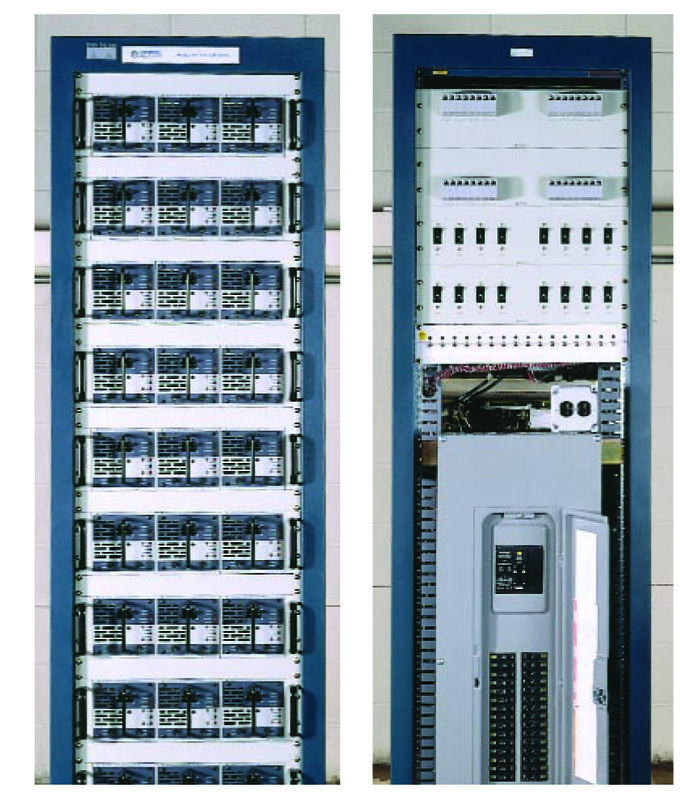 Kepco's lines of fault tolerant power supplies are ideal for architectural applications. These fault tolerant supplies ensure that critical systems don't lose power because of maintenance or operational events. These systems are suitable for remote mount applications. Our HSP and HSF series provide fault tolerant power compliant with UL 8750, Standard for LED Equipment, in systems ranging from 50 watts to 45 Kw. These systems are also well suited for emerging technologies such as WiFI Hot Spots, signage and messaging, access control and biometric identity authentication systems. These fault tolerant systems power important applications around the world. Among the applications are the floor of the New York Stock Exchange, the Alaska pipeline, refinery safety systems and air traffic control systems. Kepco offers multiple families of modular power supplies in sizes ranging from 3 watts to 3000 watts in nominal voltages from 3.3 to 600 volts . We offer both fixed output and programmable supplies. All of these supplies may be either chassis or DIN rail mounted. 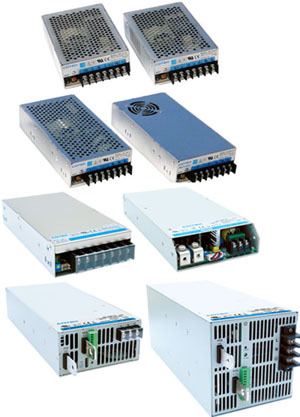 Many of our power supplies are suitable for DIN rail mounting, facilitated by special mounting adapter kits. 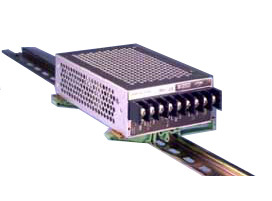 A variety of orientations are available for mounting the power supplies on the DIN Rail. KHX Series are fault tolerant 1000W and 1500W power supplies that are ideal for outdoor applications, e.g., signage, wifi, deicing and ice prevention systems. 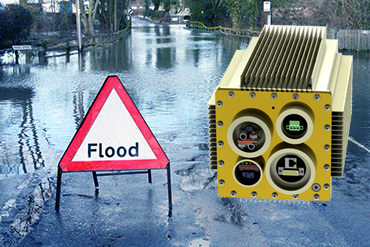 They are fully submersible, perfect for wet or hot environments. Kepco's line of fault-tolerant Power Over Ethernet (POE) power supplies simplify the installation and improve the reliability of advanced building systems using POE. Systems like surveillance cameras, access control, retina scanning, programmable signage and WiFi hot spots can be installed without the need to run a-c lines to each device. Low voltage CAT 5 cable does the trick. Kepco's centralized POE power supplies can be installed in a convenient, controlled location. Service can easily be performed on the power system without taking the POE offline. Security is enhanced because the POE devices can not be maliciously powered off because they do not have dispersed external power supplies that can easily be unplugged.